Down Time Services specializes in precision field machining services. We delivery the highest quality on site machining through investing in state of the art equipment and cultivating the highest skilled workforce. Our commitment to being the best in field machining is your ticket to minimized downtime and maximized productivity. Our skilled technicians will travel to your location to make repairs and modifications on site. We maintain a complete inventory of portable field machining services equipment as well as metrology instruments to meet virtually any need. 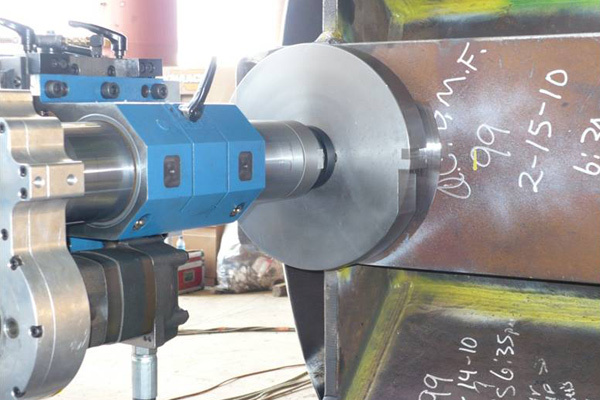 Down Time Services provides on site field machining services to a variety of industries, including construction, manufacturing, on shore and offshore oil and gas production, petro-chemical, power generation, and shipping.